Retablos, small personal devotional paintings usually painted on tin, are one form of the religious art of Mexico. 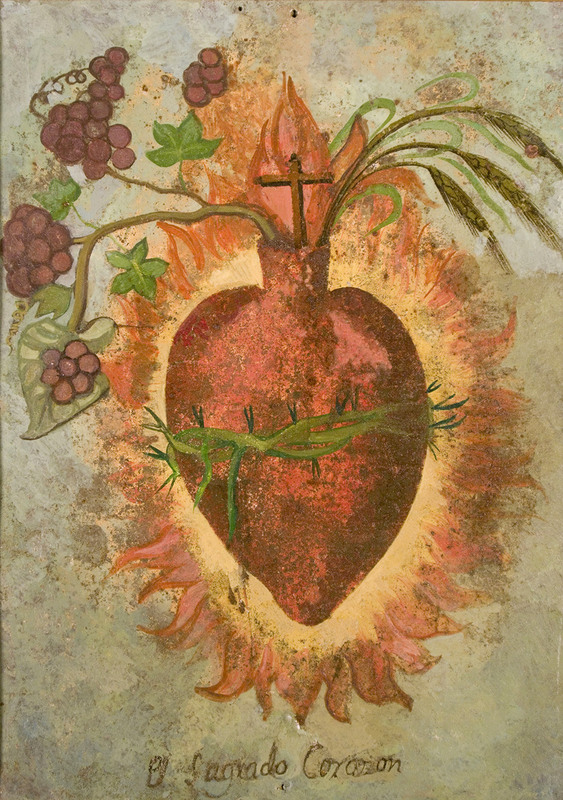 The Betty Byerley Retablo Collection is part of the Museum of the Big Bend’s permanent collection. 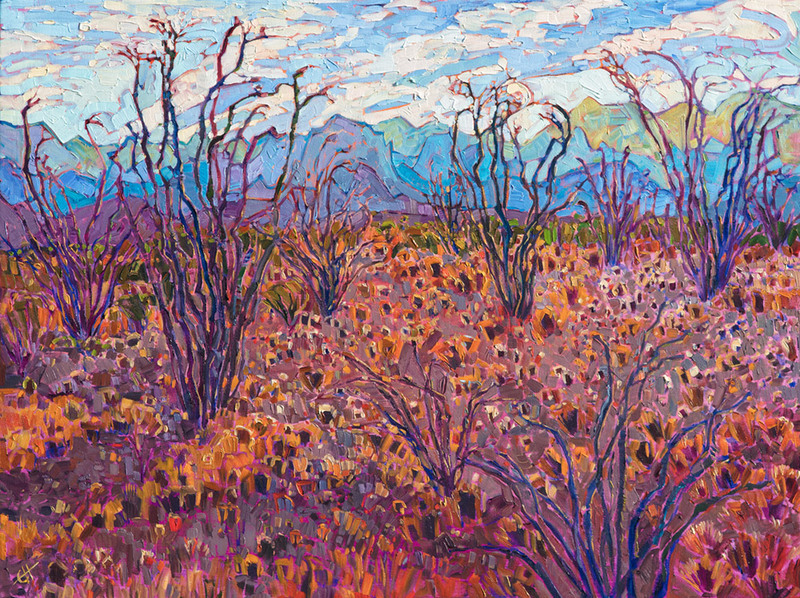 On September 21, California artist Erin Hanson debuted her modern impressionistic oil paintings inspired by explorations and hiking trips in and around Big Bend National Park. On September 22, 2018, the Museum of the Big Bend held its 5th Annual Heritage Dinner at the Ritchey Brothers Building in Marathon, Texas. The dinner and cocktail reception were catered by the Gage Hotel. The 2018 Museum of the Big Bend Heritage honoree was John B. Poindexter, a member of the Museum of the Big Bend Director’s Advisory Council. He was Chair of the Development Committee. 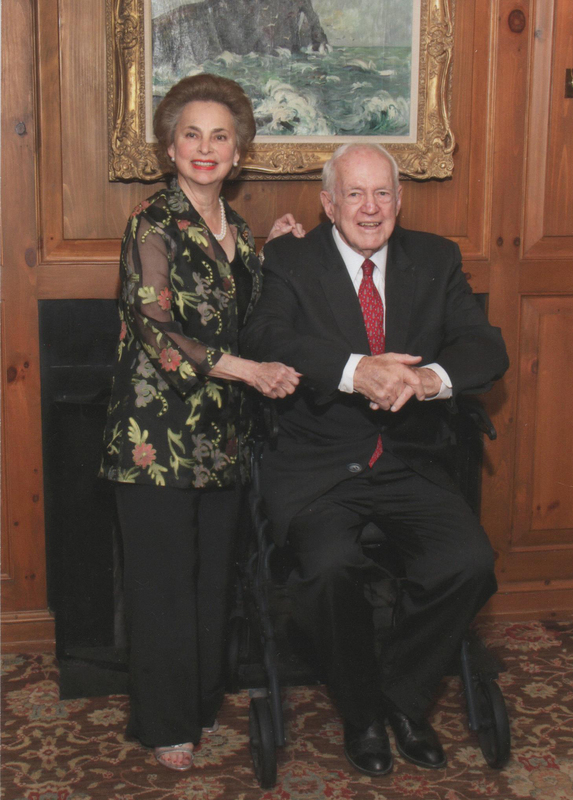 A third generation Texan, John is the Chairman of the Board of J.B. Poindexter & Co., Inc., which he formed in 1985. He earlier co-founded KD/P Equities, a private equity investment firm, and served as its Managing Partner. As an officer in the United States Army, he commanded tactical units in the United States, Europe, and the Republic of South Vietnam. Mr. Poindexter holds an MBA and Ph.D. in Economics and Finance from New York University. His West Texas home is the 30,000-acre Cibolo Creek Ranch, a popular resort and the site of three restored adobe forts and other historic structures, all built beginning in the 1850s. 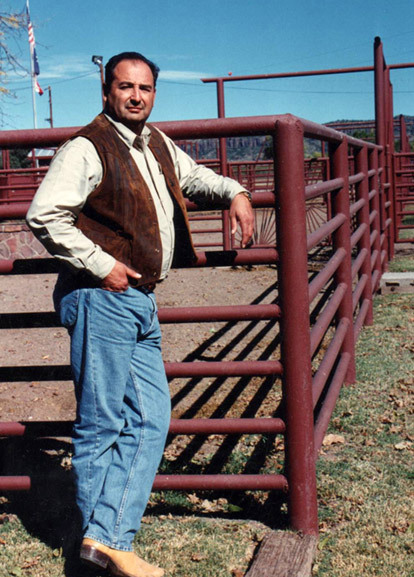 John actively directed the development of the ranch beginning in 1990. The Ranch has three listings in the National Register of Historic Places, five Texas State Historical markers and has received three national and state awards for architecture among other honors. 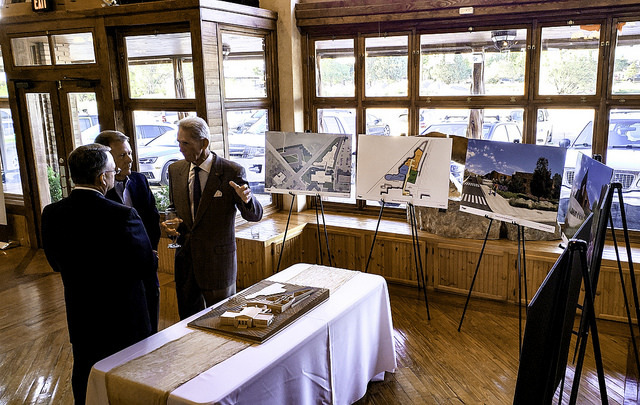 Before dinner, Larry Speck, principal at PageSoutherlandPage architectural firm, discussed his bold vision and design for the new Museum of the Big Bend Complex. Adding 10,000 sq. ft. to the existing historic Museum building, the Museum Annex will include a temporary exhibit gallery, a dedicated Tom Lea exhibit hall featuring his paintings of the history of beef cattle in America on loan from the Dallas Museum of Art and an inviting interior event space with a connecting outdoor patio that highlights the panoramic view of the western mountains. 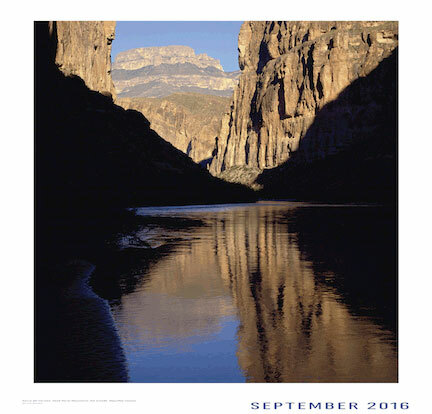 The Texas Photographic Society celebrates the rich history, culture, people, icons, landscape and natural resources of Texas. 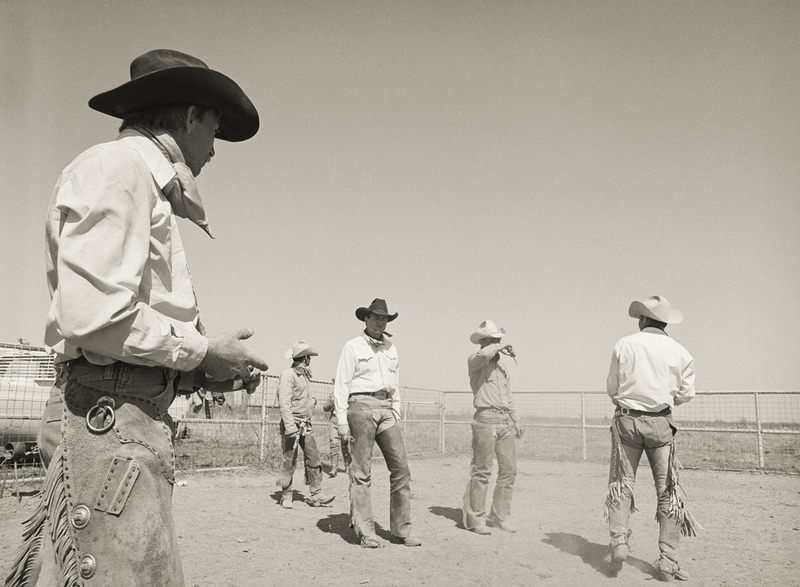 FotoTexas II was curated by critically acclaimed, Dallas-based photographer, Laura Wilson. Also exhibited: History of the 35mm Camera, curated by Monika Rodgers. 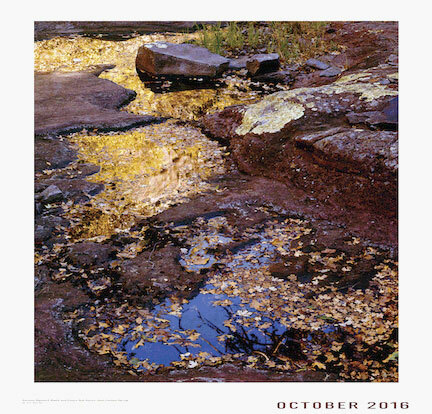 Photographs by Jim Bones of the Continental Divide from Alaska into Mexico alongside ekphrastic poetry, poems written after reflecting on an objet d’art, by 39 poets from Texas and New Mexico. 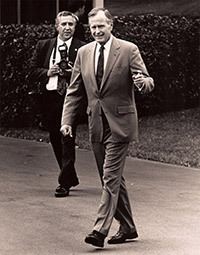 Valdez, the fifth Presidential photographer of only 10 in history, showed his White House photographs of George H.W. Bush while recounting stories of his time in the White House and with the Bush Family. Click here for more information about this event and to see some of Valdez’ photos. Works by Charles M. Russell about his history and the people and events that shaped his career and life. 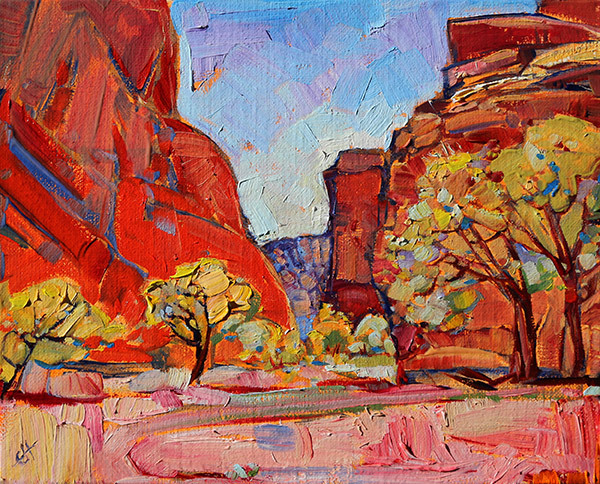 Original works by present-day Western artists who are influenced by Charlie. Artists featured: Wayne Baize, Teal Blake, Mike Capron, Kathryn Leitner, Kim Mackey, Tim Oliver, Lauren Pomatto, Chessney Sevier, Edgar Sotelo and Herman Walker. Exhibits were sponsored by Kay & Don Green. On Friday, September 15, the Museum of the Big Bend’s 4th Annual Heritage Dinner was held in honor of Al & Jane Micallef and Family at the Gage Hotel’s Ritchey Brothers Building in Marathon and catered by the Gage Hotel. The dinner was sponsored by Kathy & Mac Stringfellow, Anne & Johnny Weisman and the Gage Hotel. On Saturday, September 16, an Afternoon with Charles M. Russell Scholars took place at the Espino Conference Center on the Sul Ross State University campus. These talks were followed by an Exclusive Cigar Party at the Reata Restaurant in Alpine, sponsored by the Reata Restaurant and Micallef Cigars. In the evening, the Museum of the Big Bend hosted the Opening Receptions for the exhibits Charlie Russell Heads West and They Savvy Russell. Al & Jane Micallef have called Texas home for decades. Al was born with an entrepreneurial streak. At the age of 7 he was selling his own brand of rust remover which combined sand and Ajax. He sold Christmas trees and started a dance club while in high school. By 25, he stepped in to help his friend’s parents manage their company, Detroit Silicone Rubber Co. Three years later, when the company was sold to K&M Plastics and renamed Jamak, Inc., Al became vice president and general manager. He then purchased 20% of the company. Al now is the sole owner of Jamak located in Weatherford, Texas. Al’s other business ventures include the Reata restaurants in Alpine and Fort Worth; CF Ranch, Land and Cattle Company, Jeff Davis and Brewster Counties; Sierra La Rana, a planned housing community outside of Alpine and Micallef Cigars as well as many others. 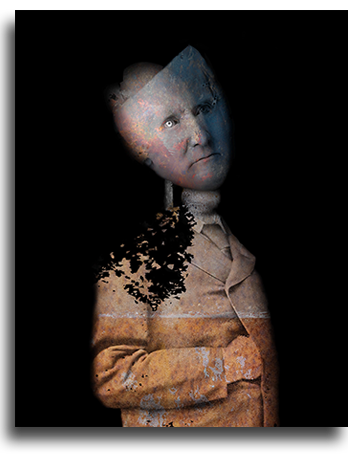 Al, through his sponsorship of Trappings of Texas, helped to create a permanent collection of Trappings art and gear for the Museum, while supporting the artists who made those works. Al & Jane have three wonderful children, Mike who resides in Fort Worth; Amanda who resides in Los Angeles, California and Sarah residing in Alpine, Texas. In 1886, shortly after then Murphyville, now Alpine, was established, a one-teacher school was established. The school continued to grow and by 1907 the Alpine Independent School District was established. 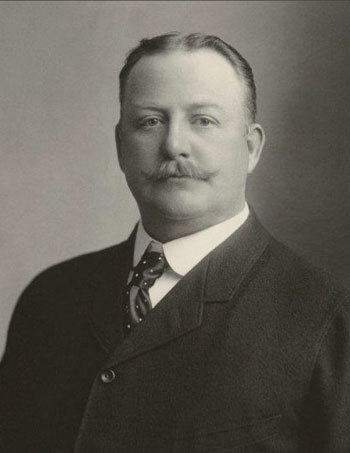 The president of the AISD was Joseph Daniel, J.D., Jackson and he along with school superintendent George W. Page oversaw the expansion of the district. 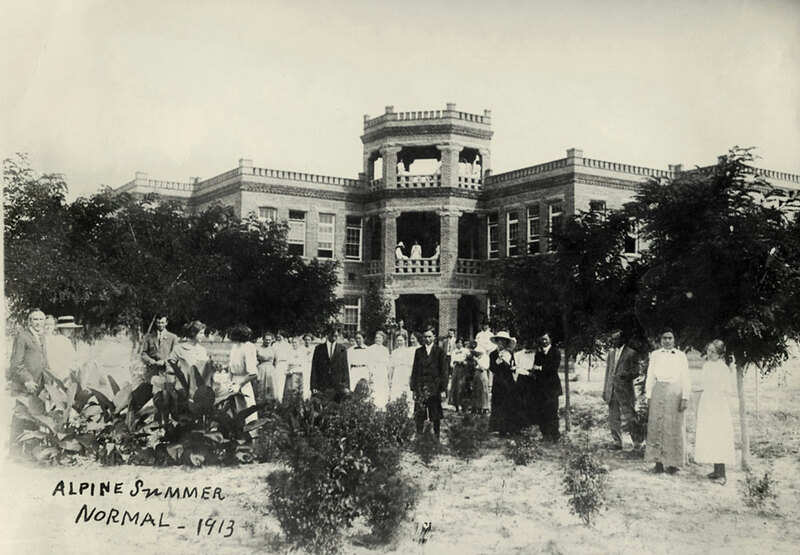 More importantly, however, they created the Annual Alpine Summer Normal that offered continuing education courses to teachers in the area beginning in 1910. With the incredible success of the Summer Normal, Jackson and others began a campaign to secure a permanent Normal School in Alpine. This exhibit explored these historic times in Alpine, what a Normal School is, the story of J.D. Jackson and the start of Sul Ross State University! The exhibit ended September 3, 2017. 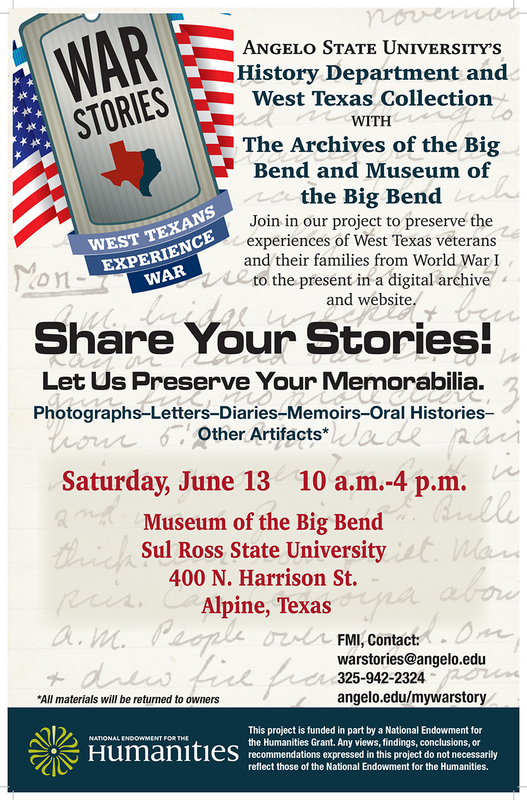 Images courtesy of the Archives of the Big Bend, Bryan Wildenthal Memorial Library, Sul Ross State University. 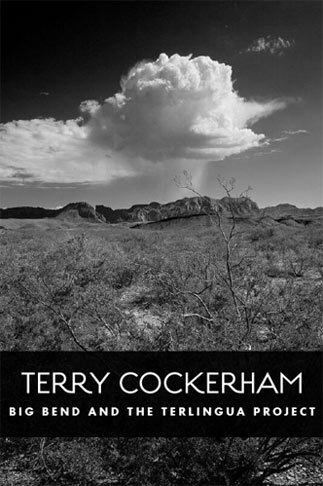 On Friday, June 16, there was an Opening Reception for Terry Cockerham: Big Bend and The Terlingua Project featuring color and black & white photographs of the Big Bend area by fine art photographer, Terry Cockerham of Dallas, Texas. Also on display was Write with Light: An exhibit of cameras from the personal collection of Monika (Moni) Rodgers. 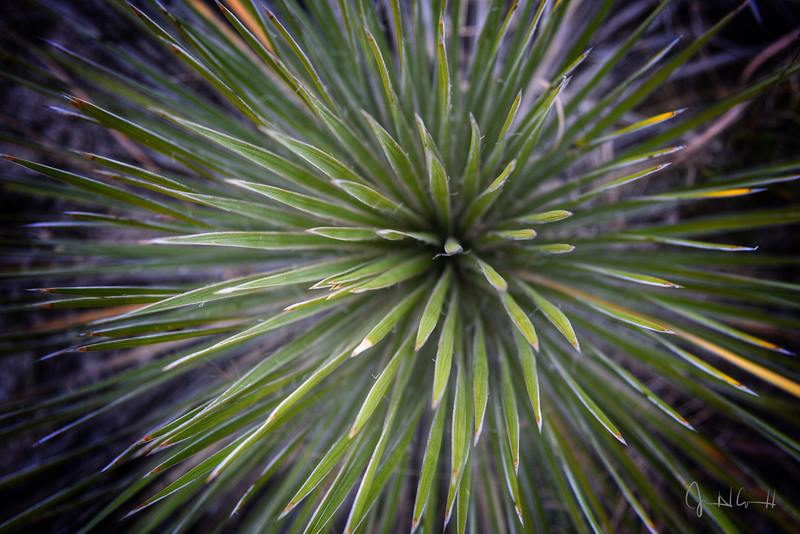 On Saturday evening there was a sunset hike up Hancock Hill behind the Sul Ross State University campus with local guide, Jim Glendinning and on Sunday morning, there was a sunrise walk through the Sul Ross campus with Alpine photographer, Caneel Cardwell. These excursions gave a wide range of photo-making opportunities for participants. 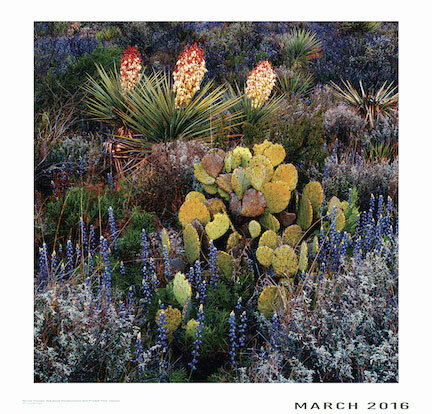 Click to view all 48 works from Terry Cockerham: Big Bend and The Terlingua Project. 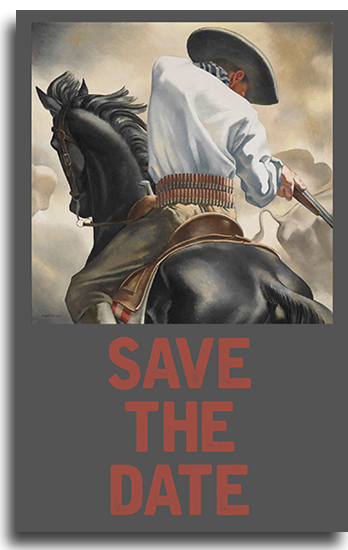 On Saturday, Sept. 17, A Feeling of Humanity: Western Art From The Ken Ratner Collection, opened in the main gallery of the Museum, located on the Sul Ross State University campus. The exhibition featured 70 works by both contemporary artists along with works by early 20th century painters including Kenneth Miller Adams, John Sloan, Boardman Robinson, Georges Schreiber and Bettina Steinke. This exhibit explores and celebrates the beautiful in the ordinary. 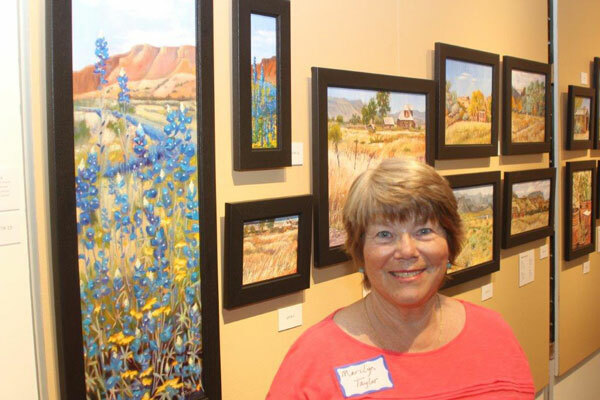 Included in the show are works by contemporary Texas artists Julie Davis, Tony Eubanks, David Forks and V…. Vaughan. 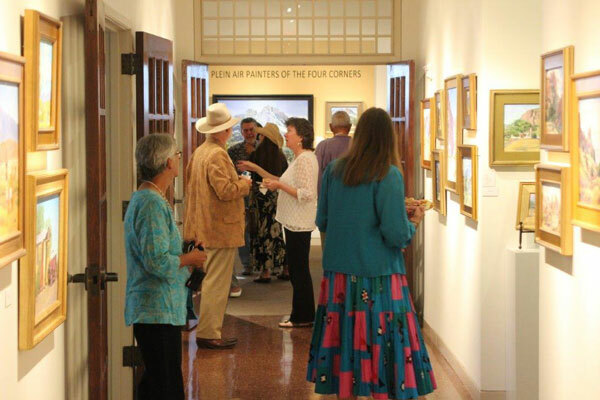 Saturday, Sept. 17th activities began with Morning Gallery Talks, 10 a.m.-noon. Ratner presented “Forming the Feeling of Humanity Collection,” followed by exhibit artist Erin Hanson, Los Angeles, California, who made a powerpoint presentation on her painting style known as “Open Impressionism.” The opening reception for the show was scheduled from 6-8 p.m.
Click for more information and to view all 70 works from this exhibit. Michael Grauer, Panhandle-Plains Historical Museum Associate Director for Curatorial Affairs/Curator of Art and Western Heritage presents the rollicking story of the 1940s Amarillo post office mural competition that had sixty-four contestants including El Paso artist Tom Lea. Julius Woeltz, who taught at Sul Ross from 1932-1936, won the competition and his every move in Amarillo was documented in the newspapers, from his needing a haircut to his unpolished workmen’s shoes! Michael Grauer directs the PPHM’s curatorial staff, is the museum’s Curator of Art, and oversees the weapons, sports, and cowboy and ranching artifact collections. Born in Kansas City, Kansas, he received a bachelor’s degree with a double major in art history and painting from the University of Kansas and a master’s degree in Art History from Southern Methodist University. After college he worked at the National Museum of American Art (now the Smithsonian American Art Museum) in Washington, D.C. Michael didn’t always plan on an art career, though. Originally, he wanted to play professional football or be a cowboy. Instead he went to art school, “because I could draw horses better than anyone and I didn’t know what else to do.” If Michael could live anywhere else in the world, it would be Taos, New Mexico (for the art scene) or Saskatchewan (because the name “sounds cool”). This event was made possible by CASETA, Center for the Advancement and Study of Early Texas Art whose mission is to promote the preservation, study and appreciation of Texas visual arts and its history. On Friday, September 16, the Museum of the Big Bend honored and recognized Leighton and Jim Donnell of Marfa and Fowlerton, Texas at the third annual Heritage Dinner. 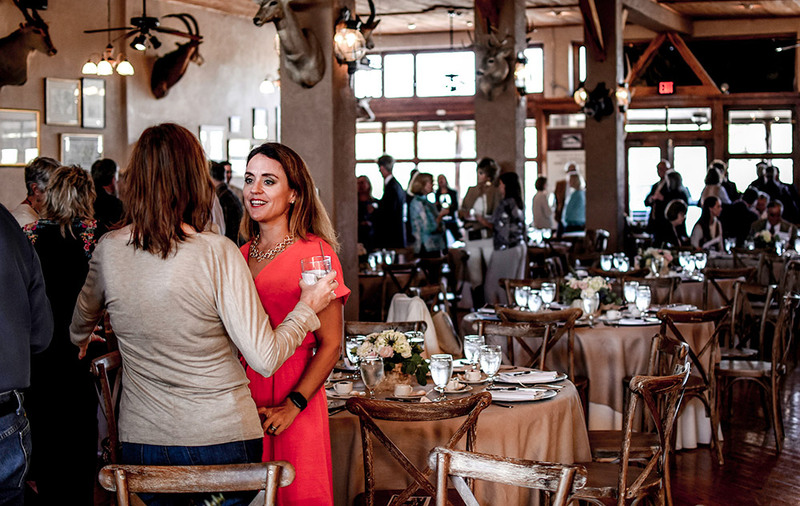 Begun in 2014, the Heritage Dinner is an annual fundraising event that supports the exhibits and programming at the Museum of the Big Bend and each year honors an individual or individuals that have made a significant contribution to the heritage, culture and history of the region and the museum. Past recipients include Victor J. Smith, 2014, and Miriam and Emmett McCoy, 2015. Leighton and Jim Donnell became friends with the museum in 2000 when they donated works from the Beryl Lowe and John Rice estate. Beryl, Jim’s mother, was an accomplished artist who worked in a variety of media including monotypes, stitchery, primitives, sculpture, and ceramics. From this initial donation, the Donnell’s continued their enthusiastic support of the museum by contributing funds through the Beryl Lowe and John W. Rice Foundation for the museum’s capital campaign to restore its historic 1936 Texas Centennial era building and to support children’s programming at the museum beginning in 2001. The Donnell’s contributions have impacted people from all walks of life through their financial support. Museum Director, Liz Jackson said, “The Donnell’s epitomize the impact of philanthropy in our region with their long standing support of the Museum of the Big Bend and our larger community. I hope our Big Bend friends will come join us in celebrating the contributions of this exceptional family.” In honor of the Donnell’s, the Friends of the Heritage Dinner have come forward to support this event. These generous contributors include the Gage Hotel, Anne & Malcolm Calaway, Yana & Marty Davis, Susan Combs & Joe Duran, Kay & Don Green, Kathleen & Pat Kennedy, Poco Reata Properties, John Poindexter, Leslie & David Pohl, Paula Wilson & Lonnie Rodriquez, and Anne & Johnny Weisman. TPS 25: The International Competition highlighted 60 works by 25 artists to commemorate the 25th anniversary of this show. 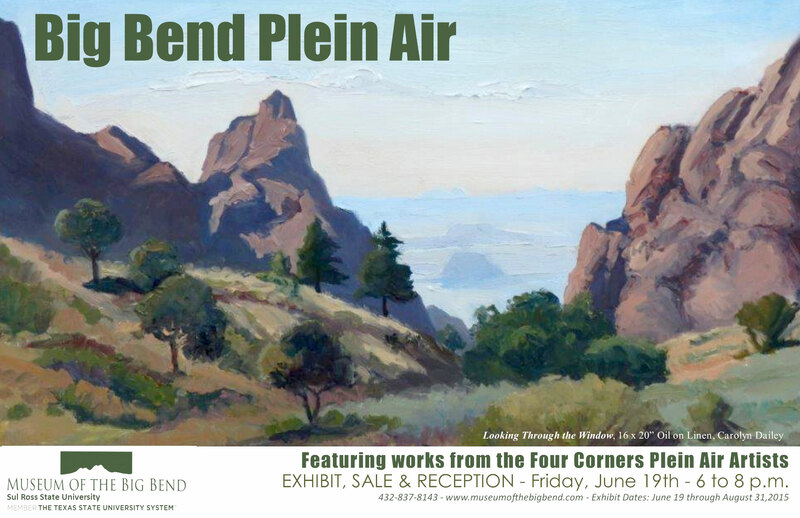 The exhibition opened with a reception June 3, 2016, at Museum of the Big Bend in Alpine, Texas, and was accompanied by supplementary programming during Alpine Photo Weekend. In today’s image-laden world, it’s not hard to find interesting photographs to view. There are an incredible number of websites with constant streams of images, but usually with very little context. Scroll through them long enough and you’ll almost always find something to linger on. But for me, it’s rare that these images give me the desire to delve deeper and learn more about the work scrolling past me. So, what do I respond to? As a bookseller who sees hundreds of new titles each year, I get most excited about work that uses the medium in aesthetically interesting ways. I’m drawn to all kinds of imagery from documentary, street photography, portraiture, nudes, to constructed photographs and studio work. In judging whether or not a book is successful, I ask myself, does this present an unusual viewpoint? How creative is the design? Does the form it takes make sense aesthetically with the work it contains? As a gallerist, I’m drawn to artists who are exploring their world in exciting new ways and producing images with fresh ideas and/or aesthetic beauty. I’m particularly interested in the use of alternative processes in the age of the digital image or unusual uses of digital photography. Jim Bones was born in Monroe, Louisiana, in 1943. His father was an Air Force officer so he attended many primary schools, graduating from high school in Lompoc, California, in 1962. He enrolled at UT Austin in 1962 to study aerospace engineering, but soon switched to geology. He then changed to fine arts to study and work with the documentary photographer Russell W. Lee. In 1965 Bones began a lifelong career working with a large-format camera that makes 4x5 inch transparent slides. His first professional job was as production assistant to filmmaker Ron Perryman, for the H.E.W.-sponsored ﬁlm, Pandora’s Box, Austin, Texas (1967) and the following year as a research photography consultant, for Programma de Education InterAmericana, for Texas A&M University. From 1971 to 1972 he was a photography teacher at Laguna Gloria Art Museum in Austin, Texas. He spent a year (1972-1973) at the Dobie-Paisano Ranch, near Austin. 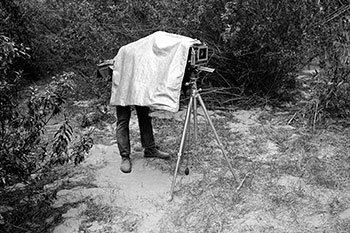 The photographs made during his residency were published in 1975 in Texas Heartland: A Hill Country Year with John Graves. From 1975 to 1978 he worked in Santa Fe, New Mexico, as the dye transfer printing assistant to Eliot Porter, who was widely respected for his large-format color work, especially of nature. Bones’ other works include the black and white book Texas Earth Surfaces (1970), Texas Wild, with Richard Phelan (1976), Junks of Central China, with Joseph E. Spencer (1976), Texas West of the Pecos (1981), Rio Grande, Mountains to the Sea (1985), Texas, Images of the Landscape (1986), Seeds Of Change-The Living Treasure, with Kenny Ausabel, (1994), The Smithsonian Guides To Natural America, The South Central States, with Mel White (1996), and A Long View Southwest, with J. Frank Dobie (2012). Encino Press of Austin, Texas, published two portfolios of Bones’ handmade dye-transfer prints, A Texas Portfolio, with John Graves (1977), and A Wildflower Portfolio (1978). 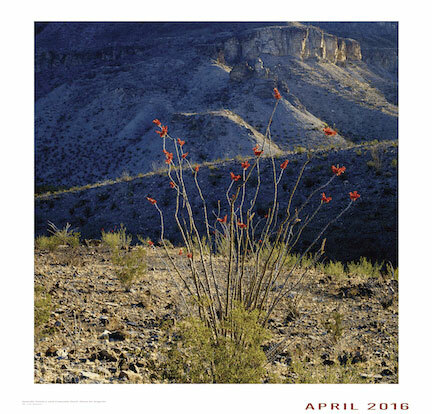 While living in Santa Fe from 1978 to 2005, he was a self-employed photographer, writer and guide and upon moving to Alpine in 2005 has been the Interpretive Exhibit Photographer and Design Consultant for the Brewster County Tourism Council. Bones also produced Images and Memories, an 8-part series of video programs about nature with writer Bill Porterfield for The Public Broadcasting System at KERA-TV, Dallas, Texas (1970-1971). In 1998 he produced The Seed Ball Story, a half hour video about a unique habitat restoration technique. His most recent video, Dreams of the Earth, Love Songs for a Troubled Planet, was made in collaboration with Terlingua songwriter, June Rapp. All are viewable on Youtube. His works are in the permanent collections of: Alexander and Alexander of Texas, Inc., Fort Worth, Texas ; Allen State Bank Collection, Dallas, Texas, Amon Carter Museum, Fort Worth; Greg Copeland Collection, Fairfield, New Jersey; Museum of Fine Arts, Houston, Texas; Photography Collection, Harry Ransom Humanities Research Center, University of Texas, Austin, Southland Royalty Company, Fort Worth, Lucent Corporation, Dallas, Wittliff Collection, Texas State University-San Marcos, and Story Sloane Collection, Houston. 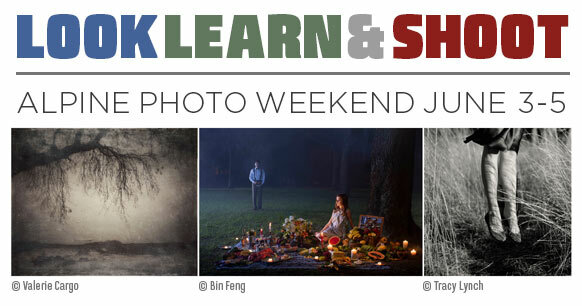 Presentations: Farm Worker Portraiture by Caleb Jagger, Dye Transfer Printing demonstration by Jim Bones, Traveling Light in the Backcountry by Crystal Allbright, James Evans and Select Images and I-phoneography by Steve Goff. Photo Hike up Hancock Hill led by Matt Walter and Downtown Alpine Morning Photo Tour with Caneel Cardwell. 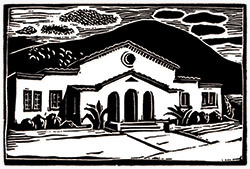 Though largely unknown outside of El Paso, Texas, Tom Lea, 1907-2001, knew where he belonged. A muralist, illustrator, artist, war correspondent, novelist and historian, Lea was probably the only person to have been threatened by Pancho Villa, interrupted by Chiang Kai-shek and regaled by President Franklin D. Roosevelt. 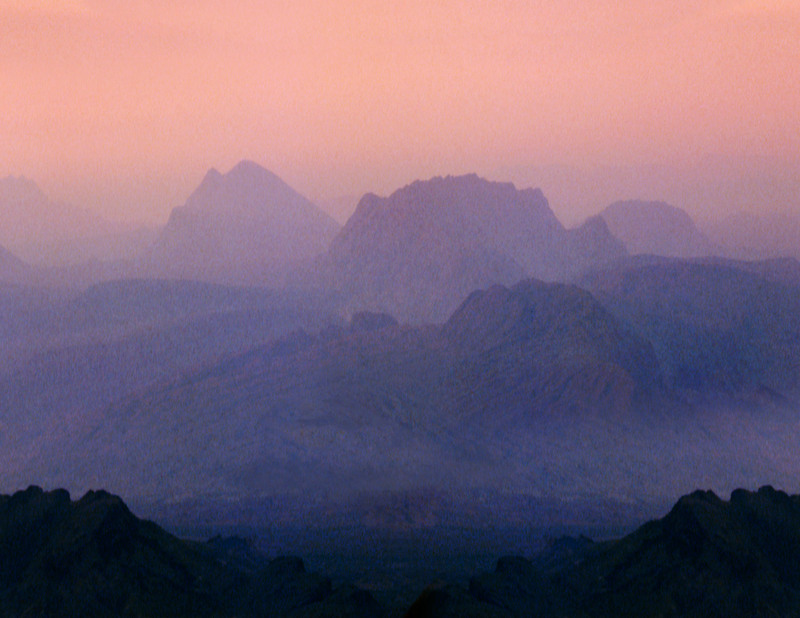 However with his worldwide travels, he always returned to his beloved El Paso. 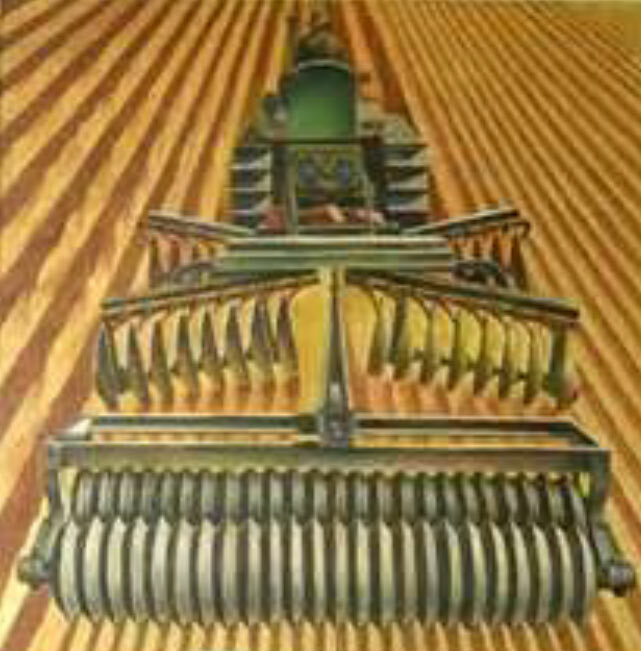 Lea created murals for federal buildings across the U.S. during the 1930s, created illustrations for two books with J. Frank Dobie and was an “Accredited War Artist-Correspondent” for Life magazine during World War II. His firsthand account of the Marine landing on the Peleliu beachhead was a turning point in his career. He published a fine press book of his eyewitness account with illustrations with the help of master printer Carl Hertzog. His eleven paintings from this landing including “The Two Thousand Yard Stare” have been reproduced in countless publications. After his WWII experiences, he became an author in his own right. 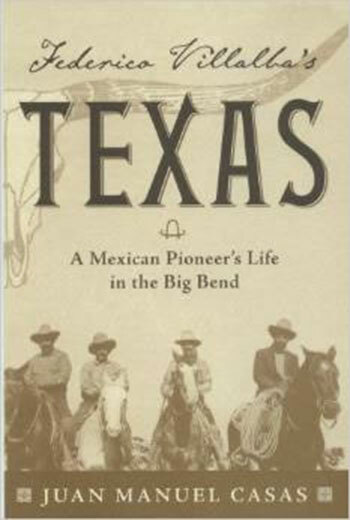 His works which he fully illustrated include The Brave Bulls and The Wonderful Country, which were both made into major motion pictures, and the two volume set of the history of the King Ranch. In the 1970s he returned to his studio full time. His painting Rio Grande hung in the Oval Office during the administration of President George W. Bush. 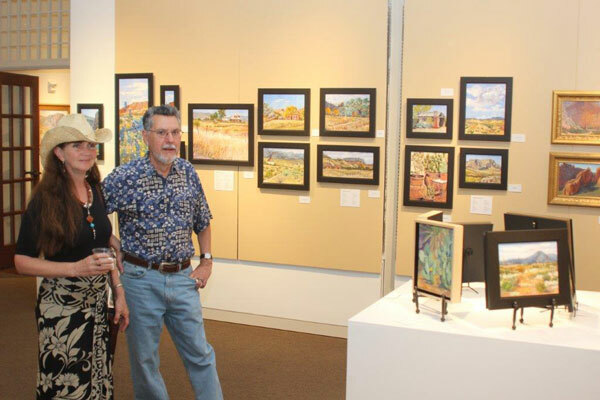 Over twenty original works of art from the El Paso Museum of Art were on display. 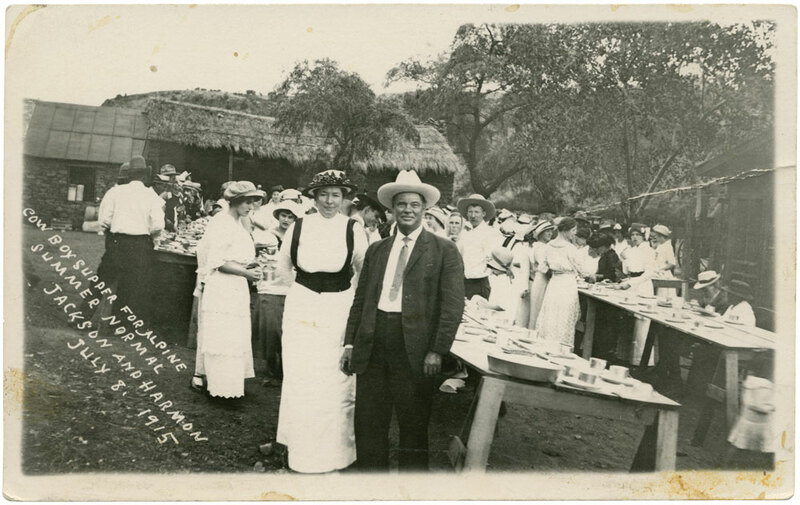 Based on research by Federico Villalba’s great-grandson, Juan Manuel Casas, and his publication Federico Villalba’s Texas this exhibit tells the story of Villalba and his rise to rancher and merchant in the Big Bend. Included in the exhibit will be numerous family artifacts. “The legacy of Russell Lee’s documentary photography is profound,” said Dr. Don Carleton, director of the Dolph Briscoe Center for American History. “From his work with the photographic unit of the Federal Farm Security Administration during the Depression, his controversial study of Spanish-speaking people in Texas, and his political work as a photographer for the Texas Observer, Russell evidenced a singular compassion for the human condition.” This traveling exhibition of 37 black and white photographs by renowned documentary photographer Russell Lee draws from the magnificent archive that he donated to the Dolph Briscoe Center for American History just prior to his death in 1986. Russell Lee Photographs offers a rare glimpse into the remarkable images he produced in 1935 and 1936 when he first took up a camera and goes on to highlight the vast body of important work that Lee produced from 1947 through 1977. This program was made possible in part with a grant from Humanities Texas, the state affiliate of the National Endowment for the Humanities. httpv://www.youtube.com/watch?v=fugV-Ukdt7c An illustrated discussion with Jim Bones and Lonn Taylor in conjunction with the show Russell Lee Photographs at the Museum of the Big Bend, Sul Ross State University, Alpine, Texas, February 19, 2015. 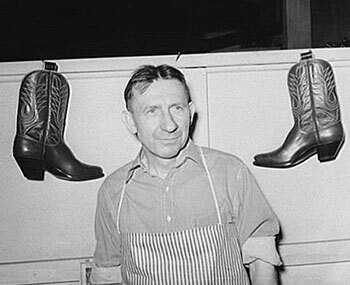 In 1939 Russell Lee traveled to Alpine, Texas, where he photographed the art of bootmaking at Kurt Lange’s Bootshop. Lange a native of Dresden, Germany, was born on February 29, 1888. He immigrated to America and arrived in Galveston, Texas, in 1905. After working with H.J. 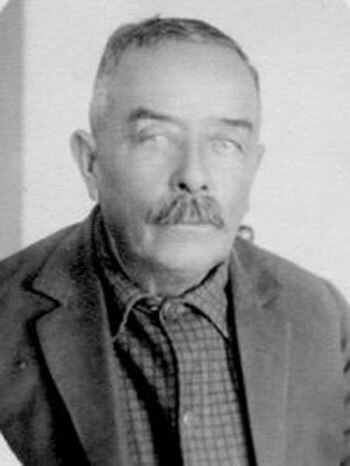 “Joe” Justin in Nocona, Texas, and owning a shop in Ozona, he moved to and opened a bootshop in Alpine in 1911, which he operated until 1959. 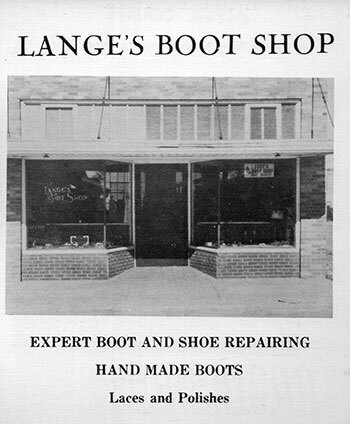 This exhibit includes the story of Lange and photographs of his men building a pair of boots. 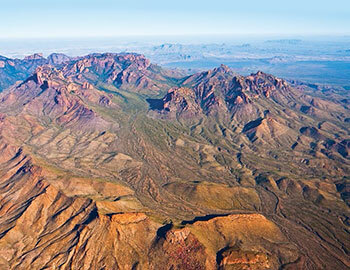 The Museum of the Big Bend is proud to have been chosen as the premier venue for the exhibit and book launch of Paul V. Chaplo’s Marfa Flights: Aerial Views of Big Bend Country. The exhibit features over thirty large format color photographs taken during Chaplo’s aerial sorties over the rugged terrain. The work covers a large area from the Rio Grande north to Alpine and Fort Davis including the Chisos Mountains, Santa Elena Canyon, Marfa Flats, Capote Falls, Davis Mountains, Chihuahuan Desert, and many more mountains, canyons, and badlands. Chaplo works as a professional photographer specializing in corporate and architectural photography. He spends most of his time working from a helicopter flying with the doors off over Dallas, producing both still images and stabilized HD video. 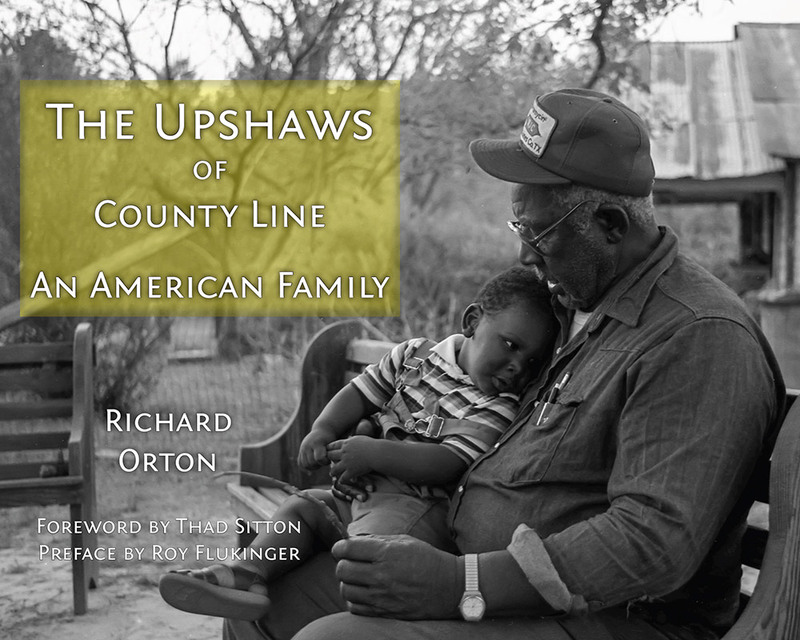 The opening reception and book signing was on Friday, September 19th at 6 p.m at the museum. A Roundtable Discussion and book signing was held on Saturday, September 20th at 10 a.m. in the Morgan University Center. Panelists included Paul V. Chaplo, Roger Amis, pilot, Larry Francell, historian, John Morlock, NPS, and Dr. Kevin Urbanczyk, SRSU geologist. The exhibition was on display from September 19, 2014, through January 18, 2015. All events were free and open to the public. 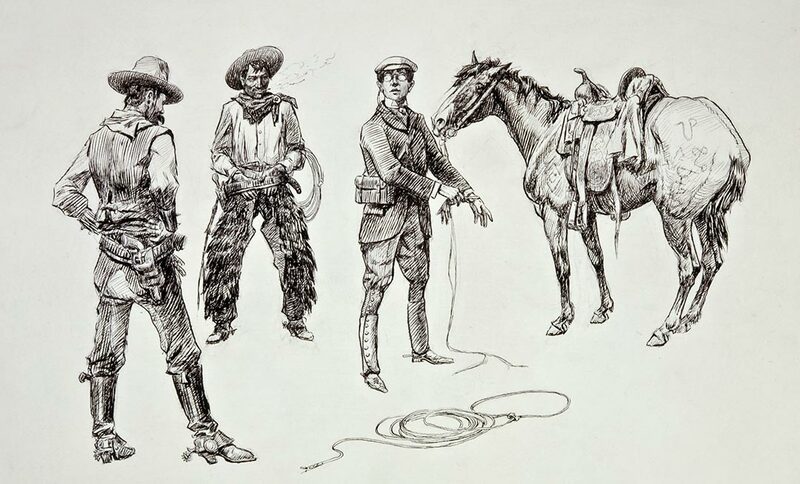 The Museum of the Big Bend brought “Treasures from The Frederic Remington Art Museum” to West Texas. 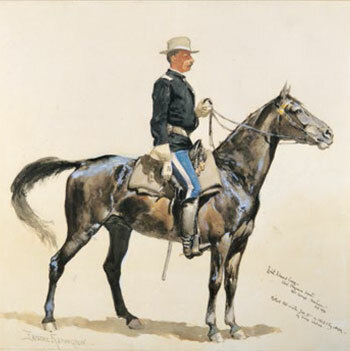 Frederic Remington is considered the most influential and important artist to portray the American West. 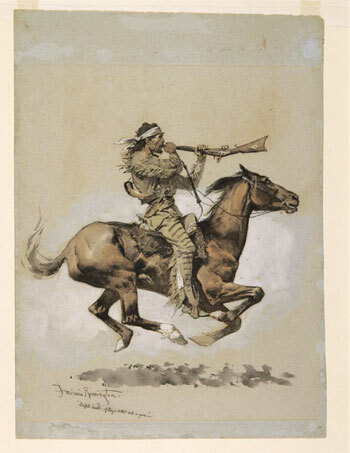 Works from the Remington Museum rarely leave their home in Ogdensburg, New York. 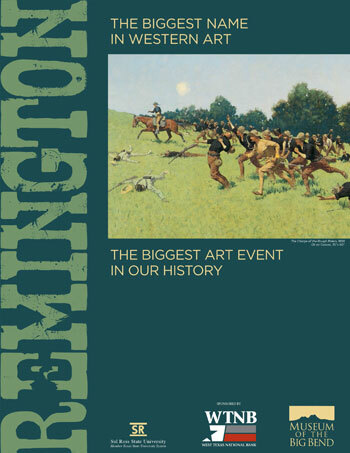 This historic exhibit displayed a large number of Remington’s best known works from September 20th through December 8th. 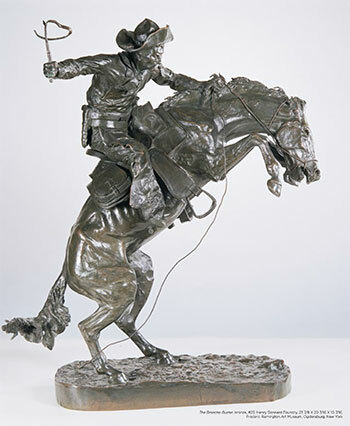 The iconic bronze, The Broncho Buster, and the never-before toured painting, The Charge of the Rough Riders, were but two of the pieces in the exhibit. Brought to the museum through the generosity of Mr. and Mrs. Charles Mallory and The Holland Hotel, the exhibit contained more than twenty-two works that explored the diversity of the media and styles that Remington used in his pursuit of creating fine art while chronicling the West. Brought together for the very first time was the nation’s leading Remington scholars presenting new scholarship and research during the course of the weekend. Presenters included Mr. Peter Hassrick, Dr. Ron Tyler, Dr. B. Byron Price and Mr. Michael Duty.